Copyright © 2019 All Rights Reserved. Musictoday II, LLC, is the seller of all Paul McCartney Merch merchandise and is solely responsible for all aspects of your purchase. 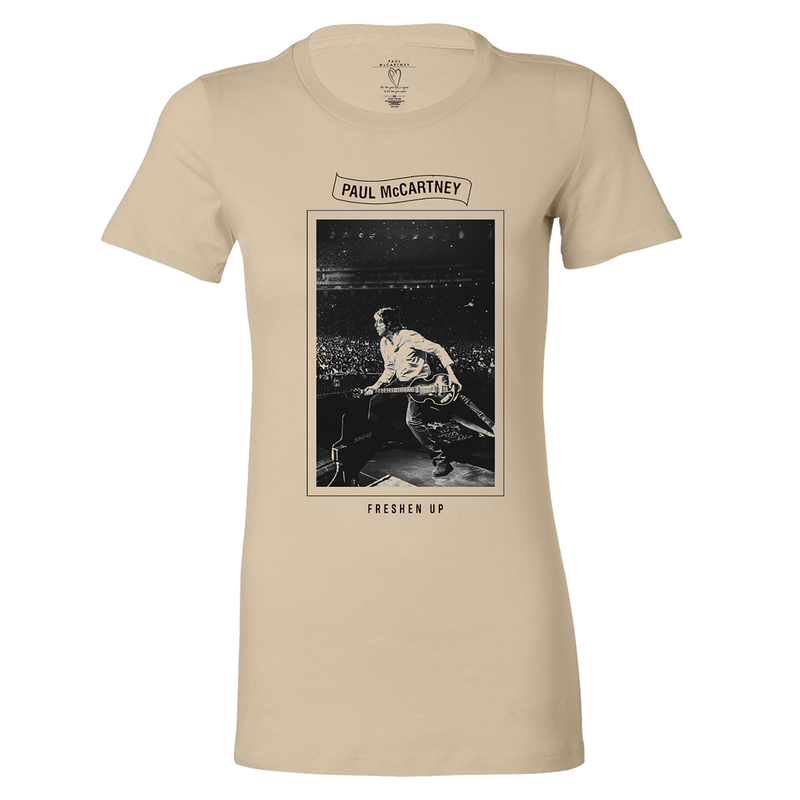 Ladies cream t-shirt featuring Paul McCartney photo on the front and 2018-2019 tour dates on the back. 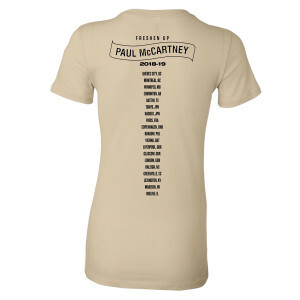 Very nice t-shirt of Paul. Beautiful quality and beautiful color. Soft cotton fabric very comfortable. Nice to wear. Beautiful memory of his tour "Freshen Up". I bought the ladies tee one size up. It runs a wee bit small, but is soft cotton and most flattering. Of course it helps that Macca is the subject!